It’s been several years since we’ve seen a Pontiac Firebird roll off the General Motors lot, and even longer since we’ve seen a Chevelle on the road. These cars, once famous in their heyday, have long been forgotten by the general public, but not by car enthusiasts and the auto makers who continue to trademark these and other famous car names. As you’ll see, a manufacturer’s process for naming cars is a tricky –but important– business. There are many reasons why automakers file for an auto trademark. Doing so may signal the return of a new model. On the other hand, the classic car names Mustang or Beetle conjure up images of vehicles that are unique to a specific time and lifestyle, and continue to have income mileage for the merchandising teams at Ford and Volkswagen. Sometimes trademarking a name doesn’t mean a new car is being built. The trademarked auto name may instead by applied to new parts for an older model of a car – which means you can have parts of a new car not yet released to the public inside some older vehicles! Automakers do this in order to “demonstrate use” of a trademark without having to roll out a brand new car with the trademarked name. The U.S. Patent and Trademark Office houses all trademarked auto names from vehicle manufacturers, and holding onto and renewing a trademark is a lot of work. Auto makers must file a “Declaration of Use” of a trademark between the fifth and sixth year after registering, and a “Declaration of Use and Application Renewal” between the ninth and tenth year after registration and every 10 years thereafter. 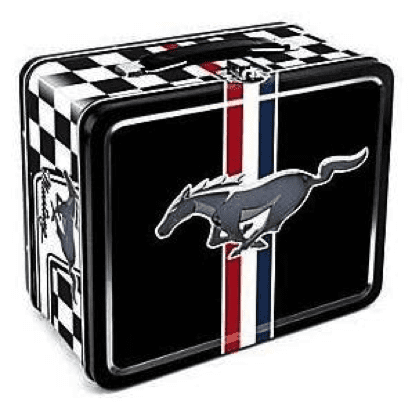 While the plants that produced some of the 20th century’s most iconic cars may be shut down, the classic car names live on thanks to trademarking…even if only on a lunchbox. As your local Sugar Land car enthusiasts, we’d be thrilled to work on your old timer. Give us a call at (281) 980-4440 to see what sort of models we’re equipped for, or request an estimate online.